Having a pet can meet many human psycho-social needs and has been undervalued in the field of mental health, says the author of a comprehensive review of human-pet bonds published today in the journal Family Process. The research, by Dr. From a Walsh of the Center for Family Health at the University of Chicago, finds that pets provide stress reduction, companionship, affection, comfort, security and unconditional love to their owners. Having a pet can even confer physical health benefits. For example, heart attack survivors who have pets are likely to live longer if they have a pet. Pets can become so entwined in family dynamics that they are often the source of conflict in divorces. Some women have refused to leave a partner who is abusive if she thinks the pet will be harmed in her absence, Walsh said. Other studies in recent years show that many animals possess a strong ability to connect emotionally with humans and communicate with them, in their own ways, of course. 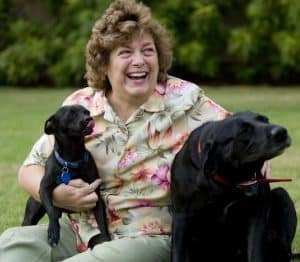 Thus, relationships with pets help people through hard times and provide connectedness in an era when family connections are fragmented. Mental health professionals, however, often ignore the role of pets when assessing emotional health or relationships, Walsh said. Grief over the loss of a pet, moreover, is trivialized. And people who seem overly attached to their pets are sometimes viewed as strange, dysfunctional or lacking in social skills. More than 63% of U.S. households — and 75% of households with children — have at least one pet, according to the American Pet Products Manufacturers Assn. National Pet Owners Survey.